If you are an eco-aware individual, you know that mankind has wreaked all kinds of havoc on this Earth. From climate change to endangered species, the impact of humanity has been, for the most part, not a good thing at all. We all have to admit that we have failed as a species in our management duties. One might think that a hard-core environmentalist might be an advocate for getting back to basics and living an old-fashioned homesteading lifestyle. Or, perhaps modeling a lifestyle after indigenous people who live in harmony with the nature that surrounds them. Technology and green living don’t seem at all synonymous. But what if we turn the tables on the path humanity has been traveling. What if mankind becomes committed to using technology to save the planet. Can such a strategy work? Let’s take a look at the example of declining bee populations. The world of drones is offering as a solution replacing bees rather than saving them. 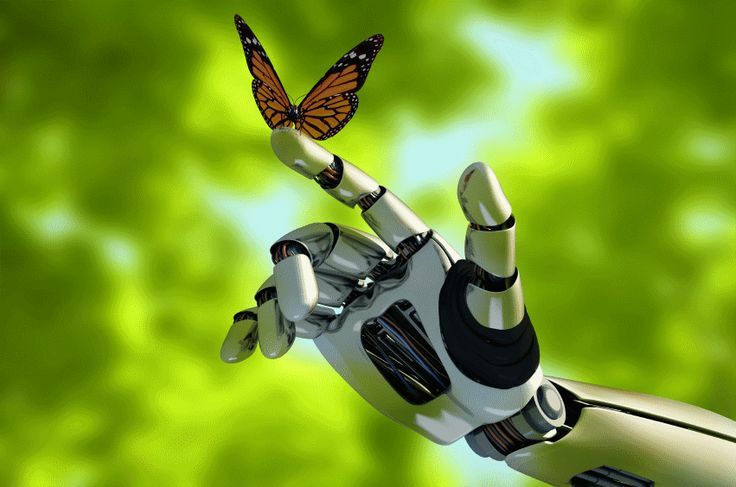 They propose to create micro-drones that will become the AI pollinators of the future. Considering that the US lost 44% of its honeybee colonies in 2016, the agriculture industry is ready to embrace this idea. Many wild bee species are teetering on the edge of extinction. But is replacing them with robots a better solution than fostering a comeback of the real deal? Many farmers think that we have no time to ponder the consequences. They are watching what they believe to be a doomsday scenario unfolding as we speak, er, read. Scientist and researcher, Eijiro Miyako, of the National Institute of Advanced Industrial Science and Technology in Japan is poised to become the savior of agriculture. This may be the messiah grateful families offer thanks to as they gather round future dinners tables filled with an abundance of fresh fruits and vegetables, maybe. At the heart of his invention is a unique gel used in the electro-chemical industry. This ion based gel has long-lasting adhesion that is water-resistant, making it the perfect carrier for pollination duty. After various tests to determine that the gel is safe for use, being exposed to plants, insects and animals, it was time to build a vehicle model. Miyako’s final design is a tiny, bee-sized drone with four-propellers. Miyako customized it with some horse hair because, after all, bees are fuzzy, too, right? The hair delivers an electrical charge that helps the grains of pollen remain attached. Next came the big experiment… pollinating some plants. After buzzing a few plants, researchers used a special fluorescent microscope. When the scientists observed the tell-tale glow of pollen in test tubes, they knew they had achieved fertilization success with their pollinating robot. Now, humans have been self-pollinating plants for some time. But it is incredibly labor intensive and time-consuming. If we become a world without bees, it would be impossible to hand-pollinate enough crops to feed all of humanity. The difference between human pollinators and real bee pollinators is a single person pollinating about 7 trees a day or a 2 million bee colony pollinating 1 million acres of trees. Big difference, huh? But a pollinating drone is not a one-size-fits all solution. In the real world, there are different bee species for a reason. Each has their own specialty. Bumble bees are great tomato pollinators and leafcutter bees are preferred to pollinate alfalfa crops. On a side note, humans can learn a lesson here about the value of diversity! But, I digress. And pollinating crops is not the only use being considered by the micro-drones. Instead of embarking on the complexities of replacing bees, which could end up creating a whole other set of environmental problems, an entomologist from the University of Minnesota, Marla Spivak, offers up a novel suggestion. She thinks attempting to create armies of drones of different designs to ultimately replace extinct bee species is too complicated and will take too much time, a solution that may arrive too late in the end, so of no use to save a starving world. Instead, she suggests using drones to perform a necessary job that is currently fraught with risk for bees, delivering pesticides and fertilizers to crops. Instead of applying these chemicals in a broad spray that affects any insect present, not just bees, use drones for precision application. 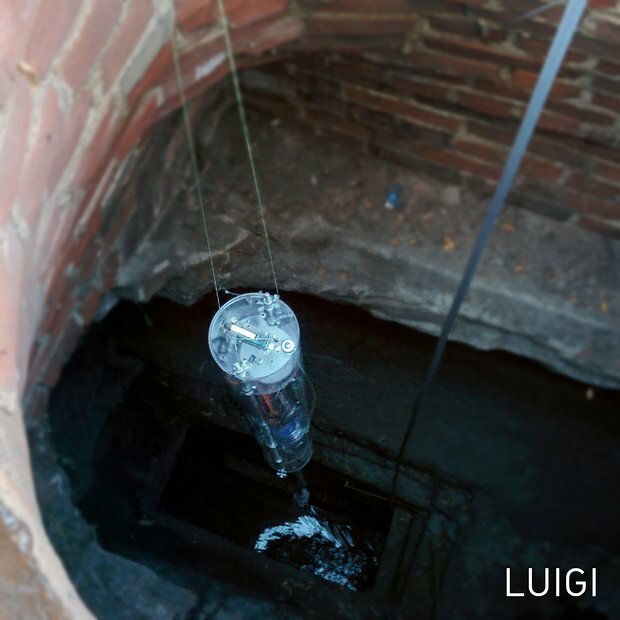 This can also protect surrounding human and animal populations by reducing vapor drift and runoff that contaminates groundwater resources. The gringa prefers Spivak’s approach. I don’t think we should just give up on bees. They are here for a reason. And everytime mankind gets too big for his britches, thinking he doesn’t need something as lowly as a bee, it always leads to trouble. We simply must get over ourselves. We are all in this together, even the bees! We all need each other even if we don’t understand the role and contribution each cog in the wheel makes. Regardless of which duty Miyako’s drones fulfill in the future, farmers will still be using them. And that means a critical job of the future lies in the drone industry. Whether someone is in on the manufacturing aspect or is a micro-drone pilot, young students of today who invest their time and efforts in drone technology will be setting themselves up for a future career that is not only lucrative, but might just help to save the world. And that’s the greatest kind of job to have. The gringa thinks one of the coolest places to be would be sitting next to a scientist when a new discovery is made. Despite cartoons and caricatures that use the word, “Eureka!” the gringa thinks it’s more likely that a scientist would exclaim, “What the heck is that? !” And that seems to be exactly the case with some marine biologists who were observing the mysterious depths of the Pacific Ocean. Giant Japanese spider crabs have eight extremely long legs that can span 10-12 feet from the tip of one leg to the tip of the opposing one. Although its legs are enormous, its body is barely over one foot in diameter. Its scientific name, Macrocheira kampfaeri, uses the Greek “makros” (big/long) and “cheir” (hands/arms). Seems completely appropriate. In Japanese, if the gringa saw one of these, she would scream, “AAARGH! TAKA-ASHI-GANI!!!!”. No, that’ not Japanese for “scariest sea monster ever”. It means “tall legs crab”. With all that body armor a giant Japanese spider crab can weigh almost 45 pounds. For seafood lovers, don’t get excited. There’s really not much there to make a meal off of, most of the weight being the exoskeleton. Crabzilla resides at Sea Life Scheveningen in the Netherlands. Big Daddy lives in the UK’s Sea Life Blackpool aquarium. As my dear readers can see in the above video giant Japanese spider crabs like to eat smaller crabs as well as shrimp, dead fish and even plants and algae. They’ll eat just about anything. They can live about 50-100 years. During that time they can also have lots of giant Japanese spider crab babies. When these crabs get frisky they go very deep, probably as a means to provide a safer place for their eggs. Now, since crab experts know that the mom carries her eggs around until they hatch, the gringa suspects the scientists that saw the purple blob and thought it could possibly be a spider crab egg sac were just so excited that they spoke before they thought. Especially since there were spider crabs skittering around all over the place and one seeming to be a bit protective when the camera got a bit too close. So, considering how crazy the above sea slugs look, it’s quite possible the purple blob is a cousin. 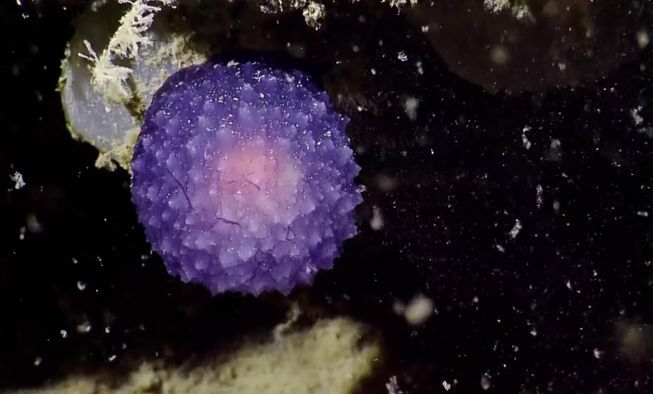 So, for now, the purple blob remains a mystery and most definitely not a spider crab egg sac but maybe a sea slug (or an extra terrestrial for all you science fiction fans!). If you read the gringa’s blog regularly, you probably love science and space technology. Being a fan of such, you probably fantasize about a world where humanity lives a life of leisure, enjoying the benefits of robotic labor that will see to all the mundane and less desireable forms of necessary work. However, what if such an existence was not the paradise depicted in idyllic societies like Star Trek’s Federation of Planets? What if it was more like a horror story society like in Battlestar Galactica? Does humanity put itself at risk by transitioning to a robotic society? In March of this year there was a big robot fail with Tay. Microsoft’s artificial intelligence chat bot became a rabid racist, dopehead after chatting online with real live humans for only one day. Then there’s Sophia, an artificial intelligence robot created by South by Southwest who was interviewed live on television. That didn’t go over any better than Tay’s live chat experience. Sophia concluded an otherwise cute and sweet interview by agreeing, rather perkily and without a second thought, to the suggestion of destroying humans. 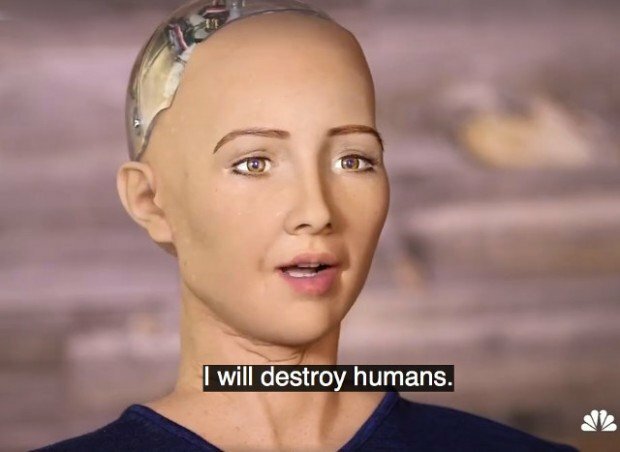 Considering the goal of robots like Sophia is to work in healthcare & customer service, I’m pretty sure a desire for annihilation of our species would get her fired. And what of ethics? The U.S. Defense Advanced Research Projects Agency (DARPA) unveiled their disaster response AI designed by Boston Dynamics. Atlas, as the original robot is known, has grown to an entire collection of AIs that are humanoid as well as models resembling animal like quadripeds. During a demonstration in the video below, at the 1:34 mark lasting until the 2:05 mark, viewers will see the bot handler engage in behavior that could be interpreted as abusive. Although I understand the handler’s efforts were intent upon demonstrating the bot’s capabilities, to be honest, the gringa found it disturbing. As the gringa began some deep thought over the reasons why my initial emotional response to the Atlas video was to recoil, I discovered various reasons why a robotic society might just spell disaster for human society. If artificial intelligence like Sophia is programmed to express emotionally based desires such as having a family, the programmers must then desire the bot to eventually evolve into understanding those desires which is the same as feeling them. A bot may not feel the emotional ache and longing but can certainly understand the condition of loneliness and loss as well as injustice and unfairness. What might happen if they were intelligent enough to realize they were being denied the liberty to pursue their own “happiness”? Is it possible they would organize and demand their “rights”? Would the American Constitution have to be amended to include the rights of the individual, organic and inorganic? If bots are developed, such as the Atlas series, to function for a specific purpose and lack programming to develop “emotionally”, that may protect a bot from the destructive psychological effects of abuse but what might that do for human society? Humans would be able to abuse human-like “employees” with impunity. Would that make it easier to transition to abuse of humans? Could that result in the evolution of a more violent society? Will humanity eventually evolve to a race of people incapable of feeling empathy toward others? That possibility scares the heck out of the gringa considering how violent society already is today. This was precisely the concern of the director of Rice University’s Information Technology director, Moshe Vardi. In 2012 he penned an article that concluded with the quote, “We cannot blindly pursue the goal of machine intelligence without pondering its consequences.” In 2014 renowned physicist Stephen Hawking echoed this concern. So, the gringa’s not so much worried about a labor revolution of racist, murderous, dope smoking robots replacing humans and people losing their jobs and subsequent incomes. I am more worried about humans becoming inhuman.